Heat up a large cast iron dutch oven over medium flame. Season the beef cubes with sea salt and black pepper and toss to coat well with 2 tablespoon of olive oil. Working in batches so you don�t overcrowd the pan, brown the beef in the hot pot. Transfer to a bowl and keep warm. 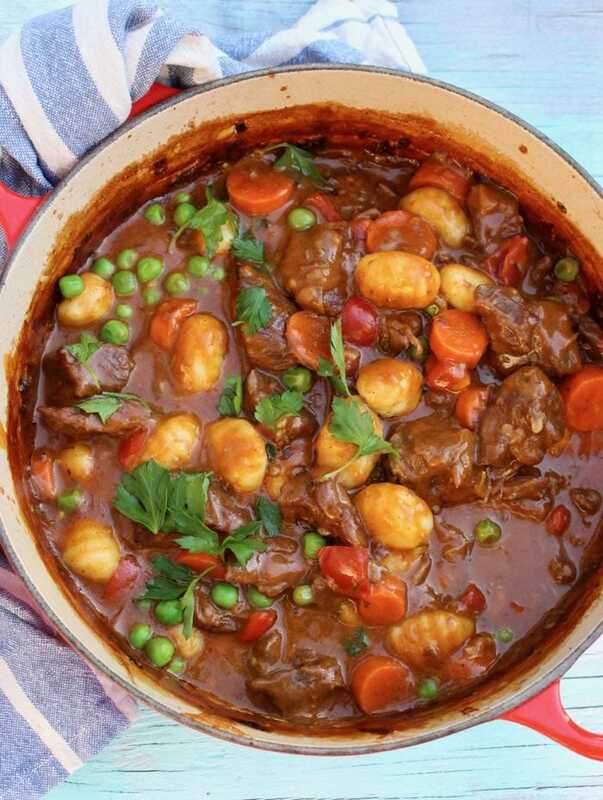 Visit Homemade Beef Stew @ ciaoflorentina.com for full instructions.